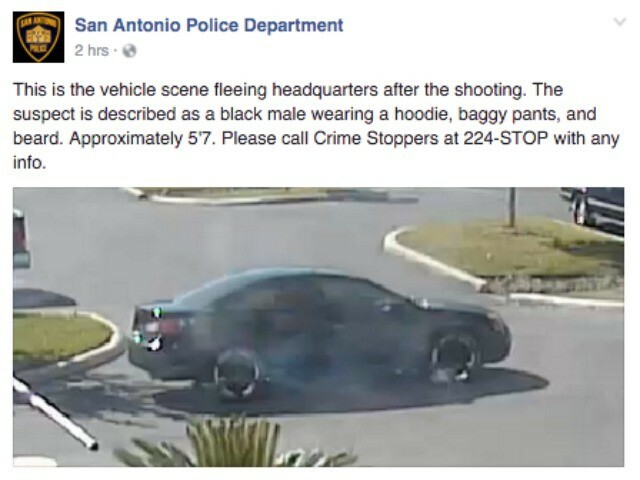 Authorities in Texas remain on high alert after a black man driving black car is suspected of murdering a San Antonio police officer in a targeted attack. 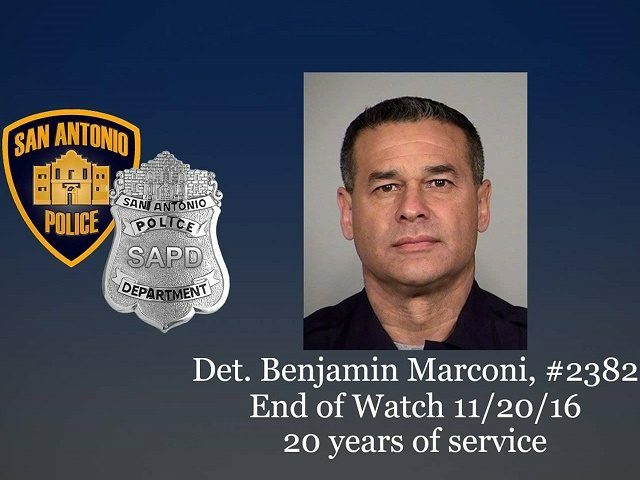 UPDATE: The murdered officer has been identified as Detective Benjamin Marconi. “It’s always difficult, especially in this day and age when police officers are being targeted across the country,” said San Antonio Police Chief William McManus during a interview streamed by the police department. The murder took place on Sunday afternoon when one of the officers, described only as a 20-year-police veteran pulled over a vehicle just outside of the police station and was writing a traffic citation. The officer died approximately 30 minutes later. Authorities had not been able to determine a motive, but have been able to describe the suspect as a clean shaven black man between 5 feet 7 inches and 6 feet in height who was wearing a gray shirt and black pants. Texas House Speaker Joe Straus (R-San Antonio) tweeted a message of support to the police department and the officer’s family. “Our community grieves today for the tragic loss of one of our brave San Antonio Police officers,” Speaker Straus wrote. Cecilia and I extend our deepest condolences to the victim’s family and harshly condemn this horrific act of violence. We ask that all Texans join us in praying for the officer’s loved ones as they deal with the aftermath of this unimaginable tragedy. Attacks against law enforcement officers will not be tolerated in Texas and must be met with swift justice, which is why I look forward to signing my Police Protection Act into law – making targeted attacks against law enforcement a hate crime. The San Antonio police officer is the 127th law enforcement officer to die this year in the line of duty, according to the Officer Down Memorial Page. He is the 58th officer to be killed in hostile gunfire this year. Editor’s Note: This article has been updated to include the name of the slain San Antonio Police Detective after his name was released by the San Antonio Police Department.